Municipal elections for Mayor and the five-member City Council are managed and coordinated by the City Clerk’s office. 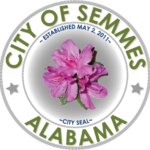 For detailed information regarding qualifying for City Offices, voting records, absentee ballots, etc; call the City Clerk in City Hall at 251-649-8811. The City Clerk’s office does not administer county, state, or national elections. For information regarding these Election processes, please visit AlabamaVotes.gov. Individuals interested in running for a position on the City Council in an upcoming scheduled municipal election are advised to contact the City Clerk’s Office.